Despite a reputation for being a season of primarily red and green, the holidays actually have one of the most lavish lineups of rainbow-hued gifts – all the better to find the perfect present in your recipient’s favorite color. Not only that, but gifts in multiple colors are excellent when you’re shopping for matching yet slightly tailored gifts for siblings, friends, nieces and nephews, and grandchildren. Plus, if you find a gift idea for someone that you also love, there’s no stopping you from picking it up in another color (or you know, every color) for yourself. 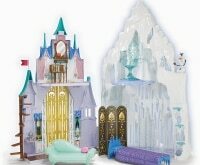 Here are 30 awesome gift ideas from Macy’s that come in multiple colors – the only challenge is picking your favorite hue! Great sound – even better look. 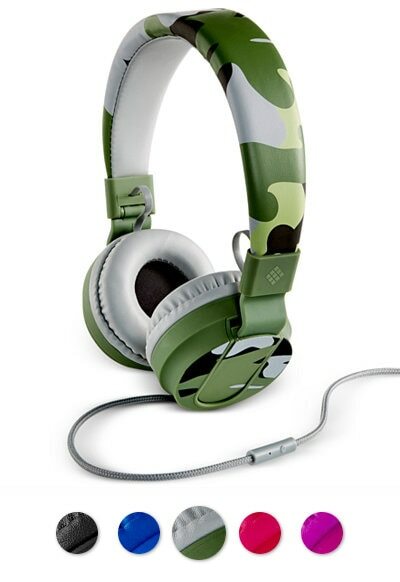 These eye-popping headphones from Polaroid come in five color variations, fold to take up less space in your bag, and come with in-line controls to manage your music playback and phone calls. Stackable bracelets are having a major fashion moment. The trick is to find light and delicate ones that coordinate – and these pastel-hued ones do just that. Buy one or buy them all; no matter which way you mix and match them, you’ll have an eye-catching wrist. You can never have enough cell phone cases! Speck’s CandyShell cases are built to last and protect your phone – but without sacrificing the style factor. 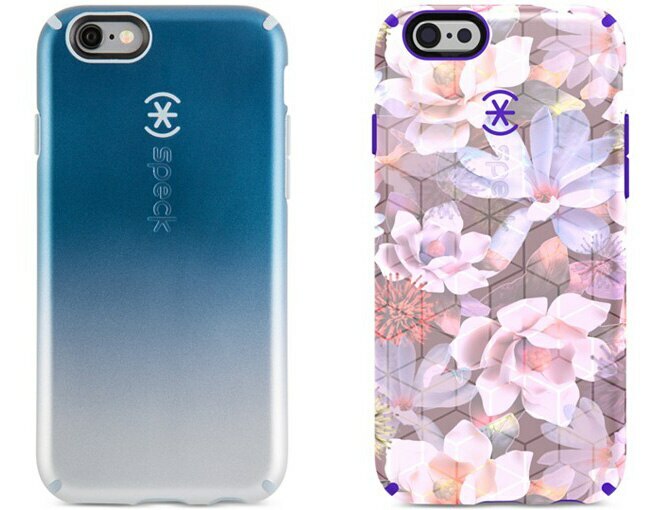 With metallic ombre, floral, and neutral charcoal prints to choose from, everyone on your shopping list will love a new phone case. You can’t go wrong with a good pair of sunnies. 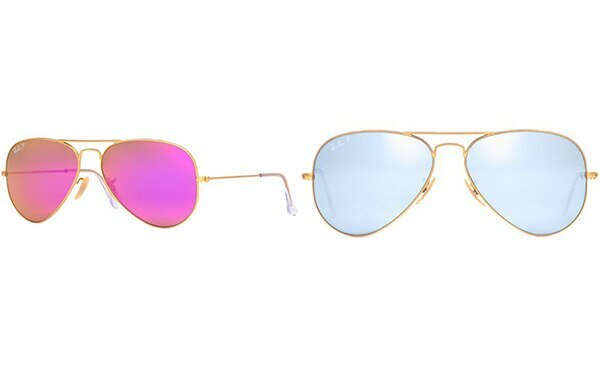 These classic aviators are given a 21st century makeover, with polished metallic lenses that are equal parts space age and boho. 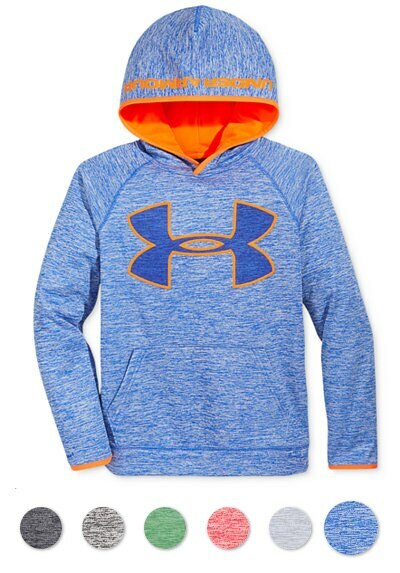 If you’re struggling to pick a gift that’s cool enough for the boys in your life, opt for a sporty hoodie they’ll wear again and again. Coming in six space dyed color combos, this vibrant pullover is made for outdoor adventures, with water-repellant fabric and stretchy fabrication. Tuck into luxury with these velvet house slippers. Created in four sumptuous shades, these faux fur-lined slippers have a fun, feminine shape and a cute pompom detail. What’s not to love? 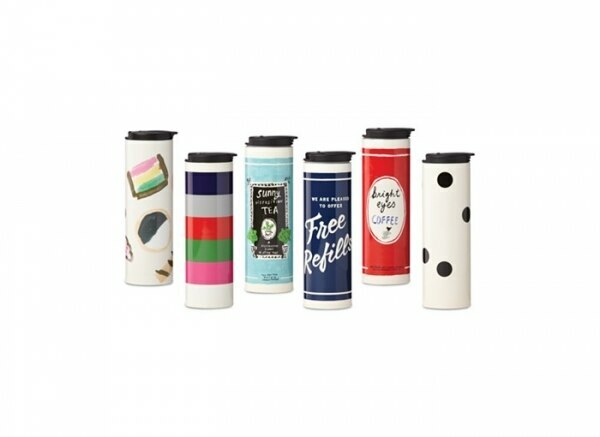 You know it’s going to be adorable when the name Kate Spade New York is attached – and that’s exactly what these whimsically printed tumblers are! Go with simple patterns like stripes, or polka dots, or pick one with a cheeky message for the caffeine addict in your office. 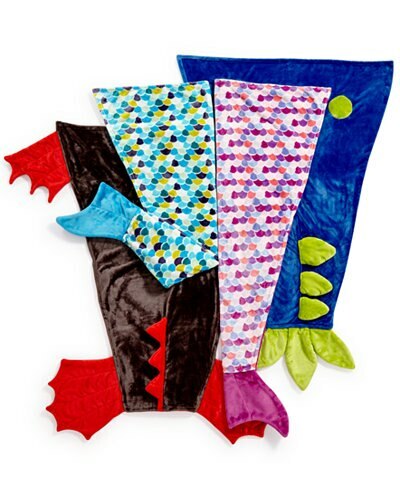 If your little one has ever dreamed of being a dragon, mermaid or dinosaur – you’re in luck! These super soft velvety tails are great for playtime, but also double as blankets to keep them warm when watching their favorite holiday film. 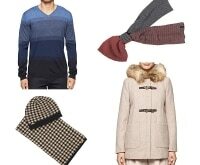 A novelty winter hat is a festive upgrade for any outfit. This cute black cap comes in a few sparkling variations – perfect for photo ops with your best friends or with the family. 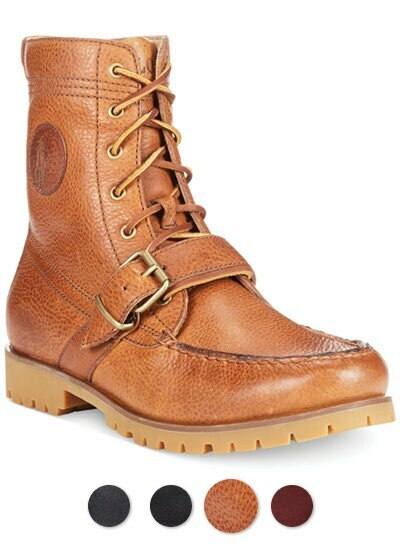 A little bit stylish, a little bit functional – these rugged leather boots are a great present for the winter weather ahead. With a cool buckle detail and a higher height to keep the snow from creeping in, he might want to nab a second pair of these boots once he discovers they come in so many colors! 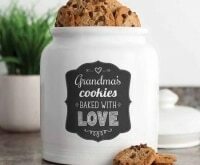 This fun gift idea offers double the personalized options! First, pick from a heart or lip motif. Then, tailor your makeup bag with a collection of removable pins. 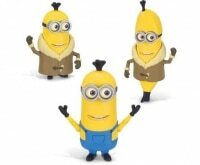 If you buy these for siblings or friends, they can even trade pins for a pouch that’s truly their own. What’s old is new again – vinyl is hugely popular with audiophiles and this portable record player is a great introduction to it. 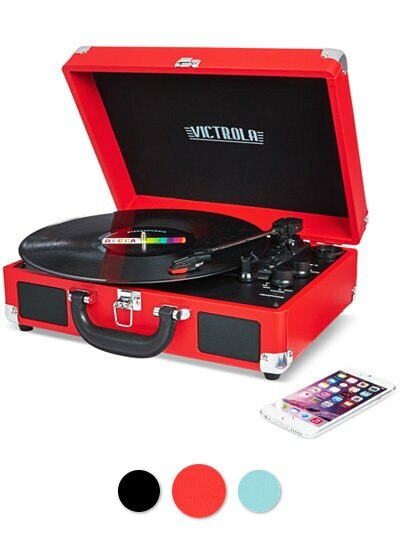 Coming in three slick shades, this Bluetooth-compatible turntable marries old school sound with new school technology. Few things feel better than wearing a fresh set of PJs when opening gifts on Christmas morning. This cozy cotton knit collection features fun prints like penguins and reindeer, and has a hint of metallic shine for a little sparkle. One of the sweetest gifts you can give is always something from the heart. 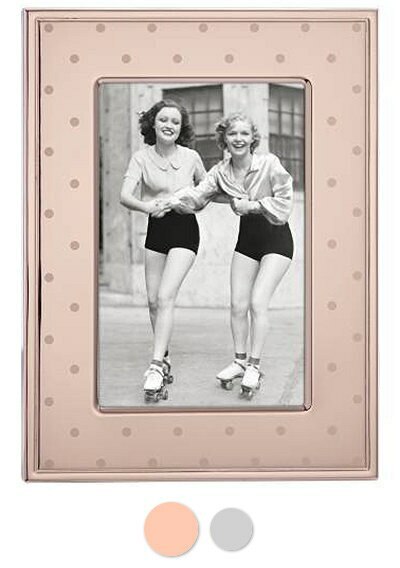 Pick a favorite moment from the year and frame it in a glitzy yet neutral metallic frame. Available in rose and silver – to suit both of your décor styles! Buffalo checks have always had a Christmas tree farm vibe to them – but that look is currently one of the hottest prints around. 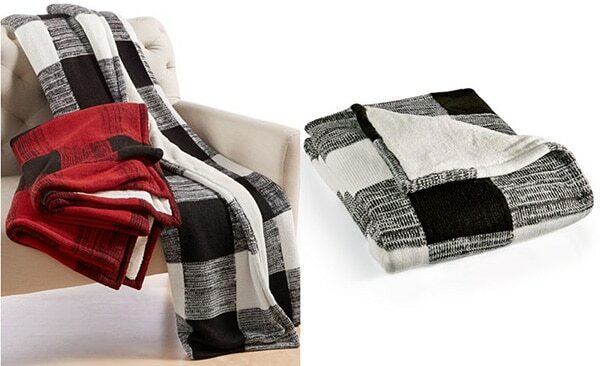 Add a little rustic coziness to any living space with an oversized buffalo plaid blanket in white or red. 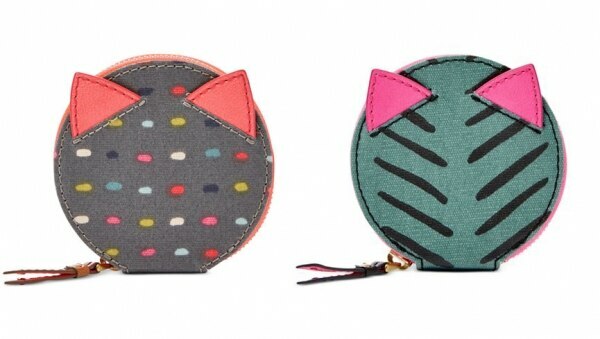 This adorable cat-themed zip coin purse is great for the tween in your house to stash her allowance. Coming in two cool color combos, it’s perfectly priced as a stocking stuffer or tuck a gift card or cash inside for a ready-to-go gift. 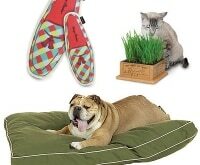 If you’re shopping for a camper, here’s one gift idea that’ll turn them into a happy one! 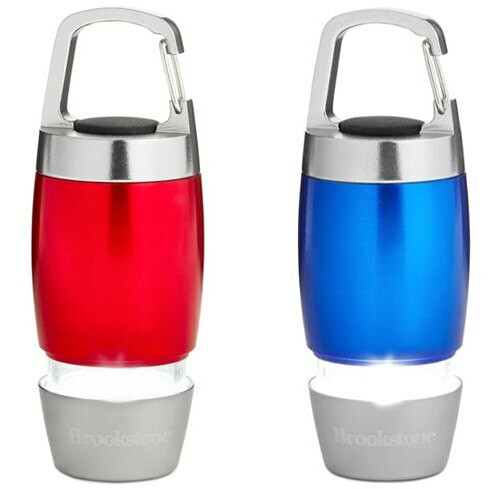 This durable aluminum lantern is weather-resistant and comes with a handy clip-on carabiner. The powerful LED light can last for over 100,000 hours too! 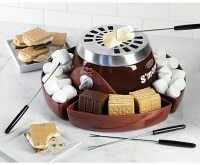 Get one for camping and one for the home. You never know when winter weather will hit – keep a cozy parka handy in your suitcase, car, or coat closet. 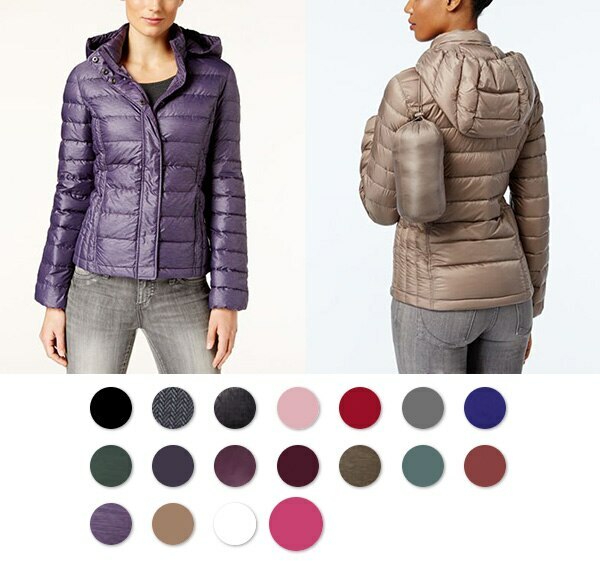 This compact yet warm jacket comes in over 15 different hues – good luck settling on just one! 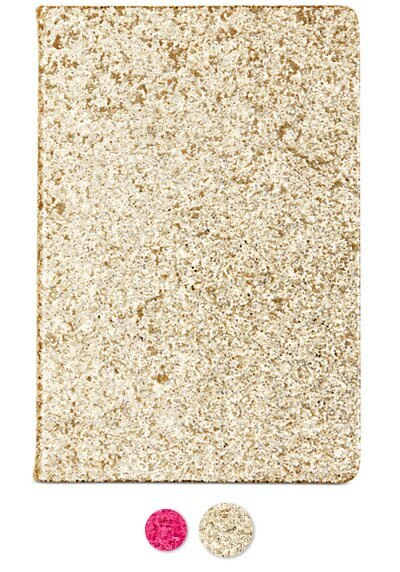 Add a little sparkle to your daily musings with a glittering journal. Lined with 96 pages of gold-embellished notepaper, it’s the perfect way to make anything from homework to grocery lists a lot more fun. For everyone that’s wanted a KitchenAid Stand Mixer but could never justify the space, now’s your moment. 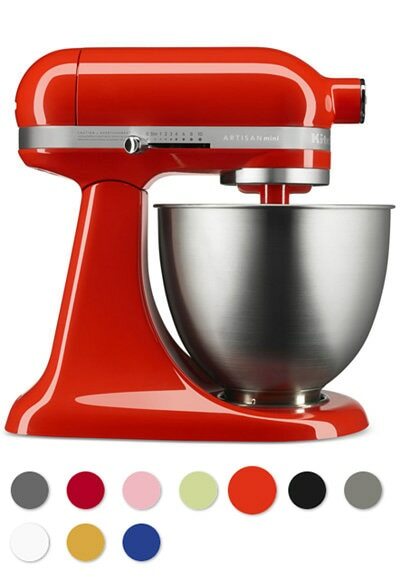 KitchenAid introduced a new compact version of this classic kitchen appliance, and like the original, you can pick from tons of colors to match your kitchen – like sizzling Hot Sauce or bold Twilight Blue. Give the gift of comfort and warmth this holiday season with this two-piece set. The cuddly open front wrap is just the beginning – a coordinating pair of plush socks seriously ups the toasty factor. This might be the sweetest stocking stuffer in town! 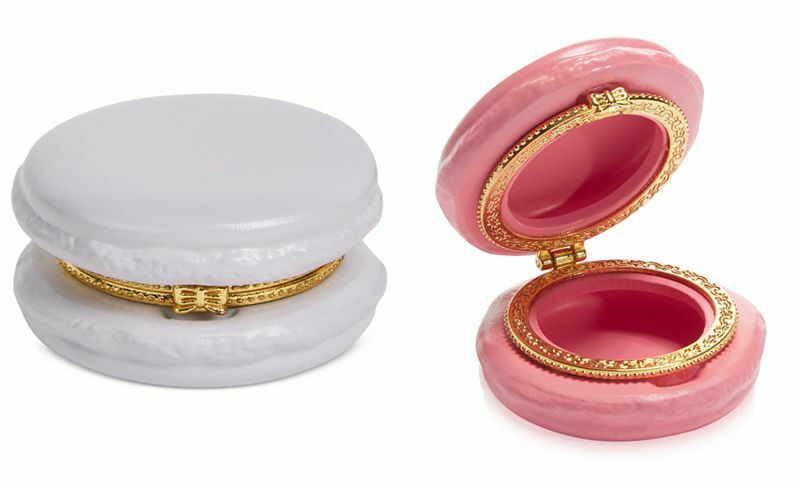 Pick up an adorable macaron trinket box in a palette of candy-colored hues, and make it extra special by tucking a piece of monogrammed jewelry inside meant just for her. If you’ve ever lamented that wearing a watch means forgoing a bracelet – fear not! Betsey Johnson has created cute sets of coordinating watches and bracelets for some serious arm candy. Available in glittering white and gold‘ or feisty animal print, these watches are a must-have add to your accessories wardrobe. 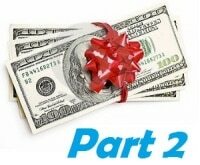 This holiday season, gift him something he not only really wants – but needs. 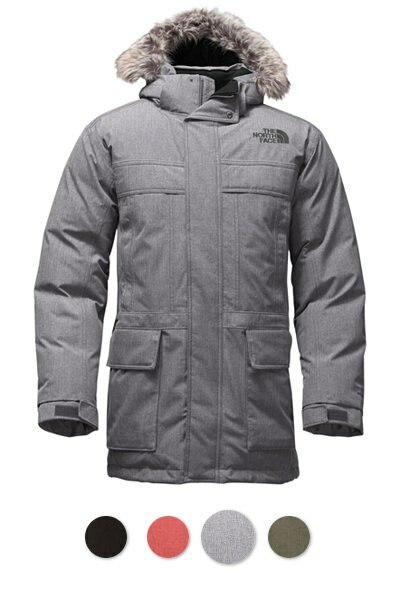 This super warm performance jacket from the North Face is fully loaded with a fur-trimmed removable hood, multiple pockets inside and out for his tech, wallet, and keys, and four sharp colors to pick from. Have you ever loved a candle scent but hated the color? Is your favorite hue often paired with a smell you’re not fond of? 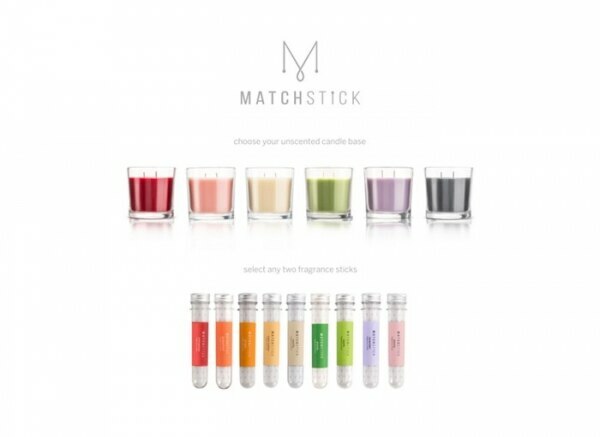 MatchStick is changing the game – pick your choice of colored soy wax candle and your fragrance and blend them together for a truly customized gift idea. 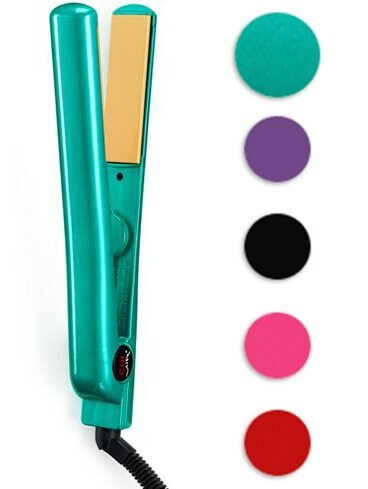 Get the shiny, frizz-free hair you’ve always dreamed of with a tourmaline ceramic straightening iron. Heating up in a flash, this luxe hair styling tool can be bought in five different colors, all with the same incredible salon-quality flat iron performance you’d expect. There’s no time like the present to update your kitchen with a piece of heirloom-quality cookware. 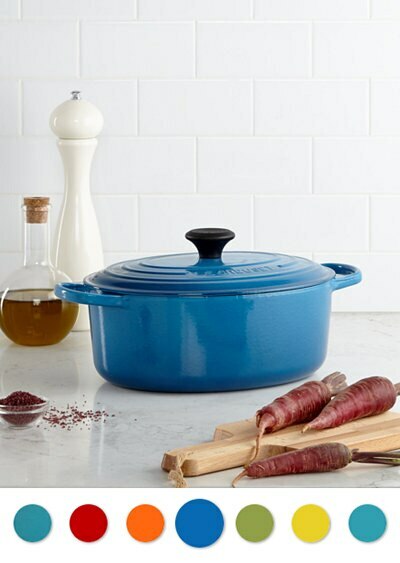 Le Creuset’s pots and pans come with a lifetime warranty, and this versatile French Oven is no exception. Plus you can choose from 7 different cheery hues to add a pop of color to the dinner table. The ultimate mix of casual and glam, these slip-ons are sure to be a fast favorite. With five cool options to choose from that switch up the color and the fabrication (from velvet to leather to patent), you might be picking up a second pair before the holidays are over! 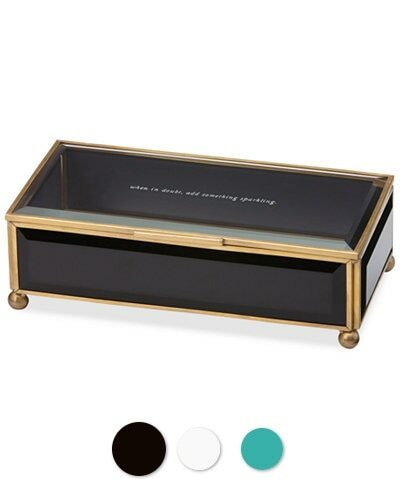 Up the glam factor of your dresser or vanity table with a sleek little jewelry box from Kate Spade. Fashioned in three classic colors and finished with brass, you’ll love the fun message embossed on top: “When in doubt, add something sparkling”.